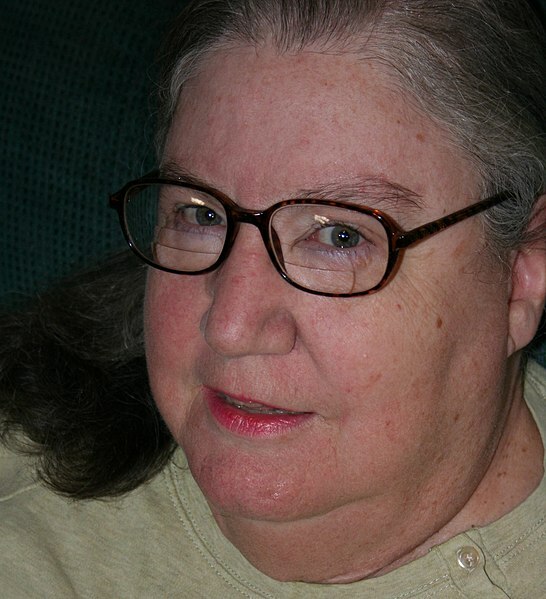 Image: File:Laura Hoopes, December 2008.jpg, Heather DLH Seid, CC BY 2.0, via Wikimedia Commons. Dr. Laura L. Hoopes is Professor of Biology and Molecular Biology Emerita at Pomona College in Claremont, CA. She recently completed our course that teaches scholars how to add their expertise to Wikipedia. Here, she reflects on what she learned and the impact that she made on the world’s most popular online source of information. I took Wiki Education’s course to learn how to edit Wikipedia because I wanted to help make women in science more visible and because I thought that some of the molecular biology content on the site wasn’t quite up to date. As a professor of biology and molecular biology, I knew I could help. Once I was familiar with the technical side of how to make changes on Wikipedia, I started to narrow down which articles I could create or improve. I spent most of my time revising stubs (short articles that need expansion) and improving longer articles on women in science. I created three new biography articles for Ru Chih C. Huang, Iwona Stroynowski, and Bette Korber. I found that Wikipedia articles are interconnected, both informing and building off of each other. Improving one may be dependent on the quality of another, for example. In order to properly cross reference the article on Huang, I had to upgrade the article on her dissertation advisor James F. Bonner. I felt that unless Bonner’s article was improved, I couldn’t improve Huang’s. Huang had made a major discovery about histones (another article I revised through this process) while working in Bonner’s lab as a postdoctoral fellow. Since Bonner’s research on histones was omitted from his own article as well as the histone article, I couldn’t make that point convincing without a rewrite of James F. Bonner. I made my case to another user for why this information was valuable to include in the three articles, and ultimately made the improvements. Editing Wikipedia means collaborating with other users and understanding the standards of quality that they uphold. When creating Iwona Stroynowski’s biography article, I included sections describing her personal life and awards. When the sections were deleted by another user without comment, Ian Ramjohn (one of our course’s Wikipedia experts), explained to me that the references I had cited were not well-regarded sources. Poles.com was about Polish Americans, but it wasn’t a source that is considered reliable on Wikipedia. In writing Stroynowski’s article, I featured her discovery of attenuation, a major regulatory system that depends on riboswitches that she found during her dissertation research with Charles Yanofsky. While Yanofsky’s article mentioned attenuation as one of his major contributions to science, it neglected to mention Stroynowski’s discovery. I edited his article so that it acknowledged her achievements. Image: File:Bette Korber or Los Alamos National Laboratory.jpg, public domain, via Wikimedia Commons. The article on Bette Korber presented a different problem. I found a photograph of the computational biologist that was published by AAAS with a notation that any use was permitted. However when I uploaded it to Wikimedia Commons, Wikipedia’s sister site that requires uploaded photos to be freely licensed, I got a note that it would be deleted in a week due to not having a proper code for its status. I consulted Shalor Toncray, our course’s other Wikipedia expert, and found out I needed to email AAAS and ask them to send a specific permission letter to Wikimedia Commons. I sent that email and got back a note that the photograph belongs to the Los Alamos National Laboratory, a US government facility. Since government photos are accepted as being in public domain, it has now been accepted and I used it in her article. 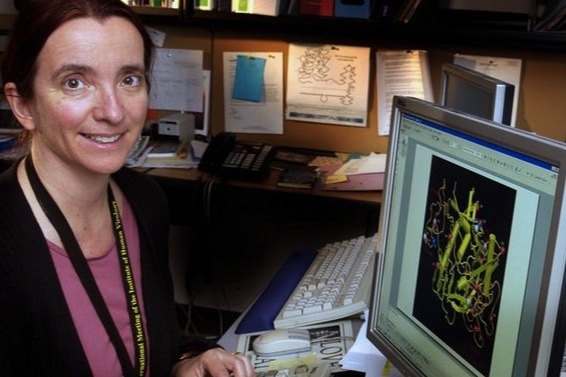 I rewrote Mary Osborn’s article because it simply described her as a cell biologist. She actually discovered how to size proteins via SDS PAGE and how to see cytoskeletal elements via immunofluorescence. The former is a standard technique in biochemistry labs around the world. The latter is very important to cancer research today. I also added material to articles on Joan Steitz, Jennifer Doudna, Laura Landweber, Jeannie T. Lee, Terry Orr-Weaver, and Nettie Stevens. In most cases, the additions were well received. However, I needed to be rescued from format errors by the Wikipedia experts in my class (Shalor and Ian) who were very helpful when I got snarled in messes. Without their help, I couldn’t figure out how to add infoboxes and correct other mistakes. I got messages saying my new articles had no incoming links and no categories so I had to get advice on how to add those. In solving these issues, I learned a lot about Wikipedia writing. When I was thinking about molecular biology articles that I could improve, I discovered that searching “regulatory RNA” on Wikipedia took me to the article for RNA interference. That’s just one important system out of about five different ones. So I wanted to make access to all kinds of regulatory RNA articles easy for Wikipedia readers. I wanted to add an article on Regulatory RNA, but I decided to engage the Talk page on the molecular biology WikiProject to ask other users what they thought of my idea. People suggested I do a disambiguation page instead of a new article. I tried, but it was removed. In the chat following that removal, my most persistent critic agreed with Shalor’s suggestion that I revise the Regulatory RNA section of the main RNA article. So I did that. So far no objections have come up. Some twenty years ago I was involved in the origins of the movement to make undergraduate research more available to all college students. Now, I discovered there was no Wikipedia article on the Council on Undergraduate Research (CUR). So I wrote one. As part of the process, though, I had to declare a conflict of interest, since I had been directly involved in the topic I was to write objectively about. Other Wikipedians worked with me on the article to get the encyclopedic tone right. I connected the article with the biography articles of CUR presidents that I could find, including one for the physicist Neal Abraham. I expanded his article to include his work in this area. That way if someone follows the link to his article they won’t wonder why it’s linked, which they might have before. I was surprised at how complicated the use of photographs was, by how quickly another user blasted my supposed disambiguation page and deleted it, and by how few changes made by other people are accompanied by a note on the Talk page of the article involved. But I was also happily surprised at how comfortably I could finally use sandboxes, a stumbling block when I tried to learn Wikipedia on my own. I also liked getting welcome messages from WikiProjects along with information about priority needs. I plan to keep editing, focusing on WikiProject Women scientists priorities mostly, along with Women in Red’s list of missing articles about biologists. I found I enjoyed writing that kind of article. I am unsure about how much ongoing professors as opposed to retired professors can do this kind of work. It’s time consuming and the expectation by home institutions is that you’ll publish things that don’t morph into something else with multiple writers, so Wikipedia articles won’t count much, if at all, towards a publication record. But with this new skill, all of us will probably go in and update important articles that we may refer our students to use or need to use in our own research. I think the professors who want to use the evaluation or writing of Wikipedia articles in their classes may be more apt to edit Wikipedia extensively. Wiki Education also has free tools to help instructors incorporate Wikipedia editing assignments into their courses, even without any experience with the platform themselves. I think updating and improving content on Wikipedia is a great public service, so I hope that people can do more and that it will make information more accurate, complete, and up-to-date in my fields. It partly depends on how people choose to invest their time. I would say that Wikipedia is hands down the most-consulted encyclopedia today, so it’s definitely worthwhile to keep it up to date and as complete as possible. To see what the articles that Dr. Hoopes and others as part of their course, see their Dashboard page. Header image: File:Gates at Pomona College.jpg, Officialpomonacollege, CC BY-SA 3.0, via Wikimedia Commons. Very interesting! Keep up the good work.